Should Hire A Painting Professional For The Job? Chipping paint, grimy fingerprints, a dated look: It is time to paint your home. Homeowners up to the challenge may be excited about painting their house-either the exterior or interior or both. However, there are also advantages to hiring a professional painter to help get the job done. There are things to consider for both options. Painting your home is a big undertaking, even if it is only one room. Take into account that there may be snags that arise on even the simplest of jobs. For example, you may need to make drywall repairs or touch-up work before you even begin painting. properly repairing drywall can actually take longer than painting itself. If you are working outside, you will need to power wash your home. You may also need to remove wallpaper, which can lead to expensive damage scraping off old paint depending on its finish repair cracks in ceilings and walls. When you decide to forgo hiring a professional painter, you may save some money on labour costs. Keep in mind you will have to purchase all your own materials. Additionally, you need to take your time to ensure you do the job right the first time to avoid additional costs or putting more time into the task. If you decide to look into hiring a contractor, you will have some leg work to do ahead of time. 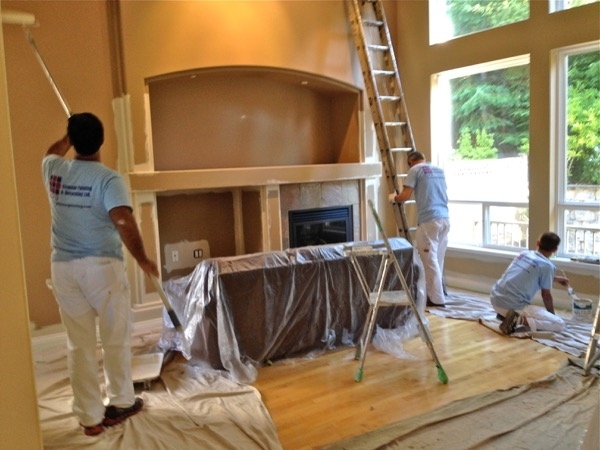 Ask for referrals for a good Vancouver painting company from friends or family. Get references for each professional painter and ensure they are licensed and bonded. Lastly, get estimates from each prospect. However, once you put in the time to finding the right person, your work is pretty much done. Make sure your contractor will: Do all of the preparation work, handle all clean-up and trash disposal, give you a written guarantee of their work so if you are not satisfied with the job they will redo it, put all costs in writing. A professional painter who has been in the business long enough has likely seen all sorts of jobs and handled a number of hiccups. They know how to effectively and efficiently remove wallpaper, repair cracks, dings and paint cleanly. Not only that, but professional contractors can likely get the job done quicker than untrained homeowners. There are tricks of the trade that a professional uses to paint difficult areas such as trim, spindles and corners. Whichever option you decide, make sure you thoroughly research the work that needs to be done to ensure you are happy with the job in the end.